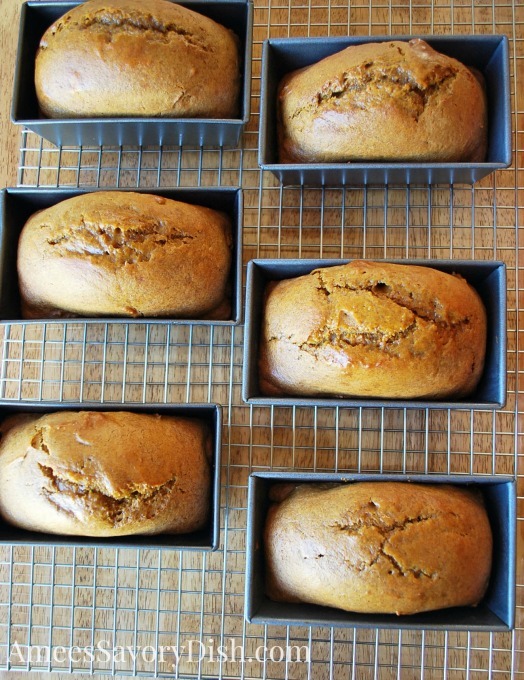 My daughter, Lauren, has been begging me to make pumpkin spice bread over the last few weeks. I’ve been a little hesitant, because whenever I make it I cannot stop eating it. It’s always been one of my favorite quick breads. My mom made it a lot when I was growing-up and passed along her special recipe to me. Her recipe for Pumpkin bread is on the blog and it’s amazing, but I wanted to make it a little bit healthier this time around. I switched a few of the ingredients with tasty results, no one noticed a difference. I also thought this would be a great teaching opportunity for Lauren to learn to make one of her favorite pumpkin recipes. I’m pretty sure that I have a future baker on my hands, she loves to get in the kitchen with me and create unique dishes. 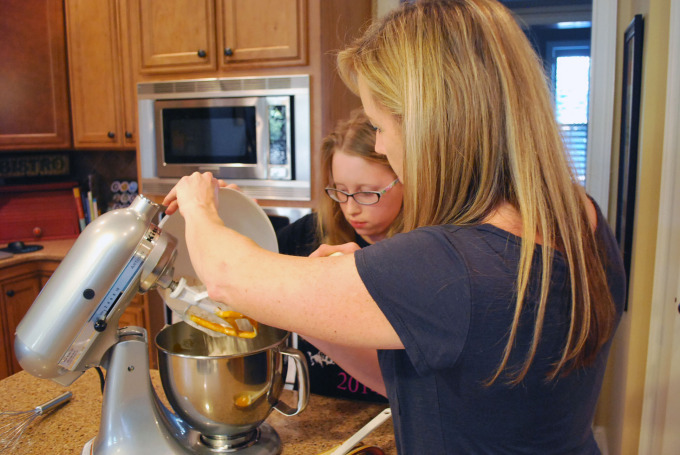 Not only are we creating special memories when we bake and cook together, but she’s learning some really mad skills in the kitchen. I encourage her to get creative and use her imagination. She can decorate a cupcake like nobody’s business. I think that watching every episode of Cake Boss came in handy. She also loves to make faux food out of anything that she can find. 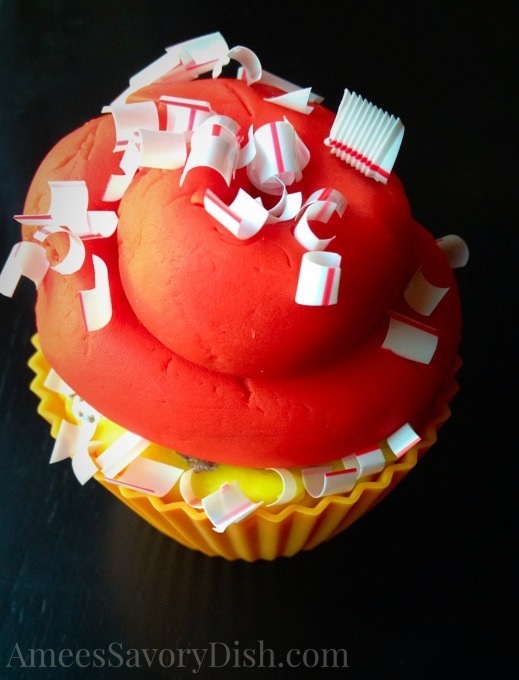 She once made me a cupcake out of play-dough, a straw and a silicone cupcake liner. 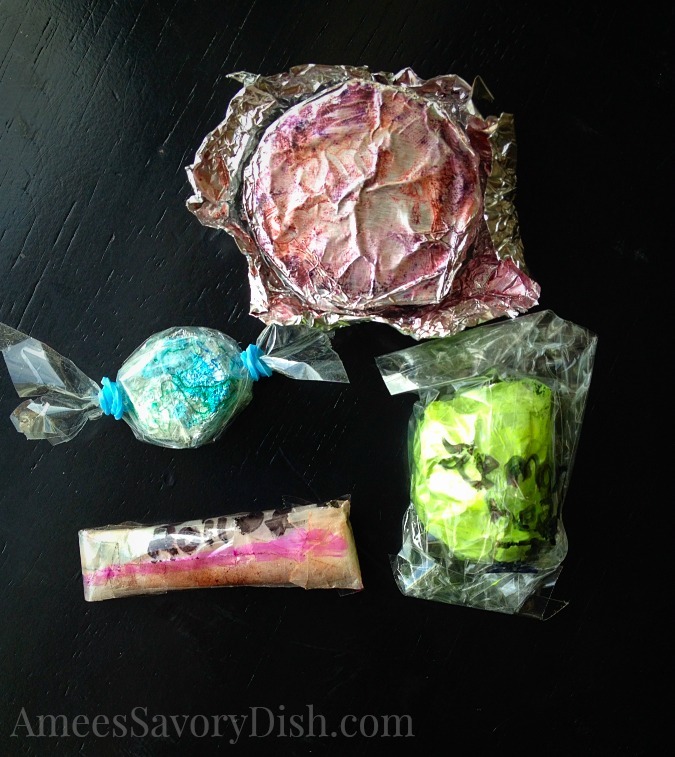 After Halloween, I was avoiding candy like the plague so she made me these guilt-free treats…. She’s just really cute like that, very thoughtful, giving and artsy-fartsy. I love her heart. Not to leave him out, my son is pretty awesome, too, but he wanted nothing to do with our kitchen adventure. He could care less about cooking, really. Every once in a while, he’ll microwave a cheese quesadilla, but that’s as far as his interest goes in food preparation. Lauren definitely has a budding passion for making her own food creations. By emphasizing the importance of innovation in the home kitchen, I hope to encourage her to have fun with her ideas and be original. You never know where this may lead, but for now at least she’s having fun. Check out this great “Out of the Kitchen” series from Bonappetit.com for stories about food innovation. Where there’s a spark, there’s a passion. Where there’s a passion, there’s a dream. Where there’s a dream, there’s an opportunity for great success. I hope that you enjoy our recipe makeover and have fun creating your own family favorite recipes! Add dry ingredients to wet ingredients until just blended. Pour into one large bread pan and bake at 350 for 45 minutes or 6 mini loaf pans for 30 minutes or until a toothpick comes out clean. Also, check out BonAppetit.com’s “OUT OF THE KITCHEN,” an exploration of the coolest food artisans in America, from spice blenders to knife makers to cider brewers. See how they mastered their crafts—and learn how to apply their knowledge at home. 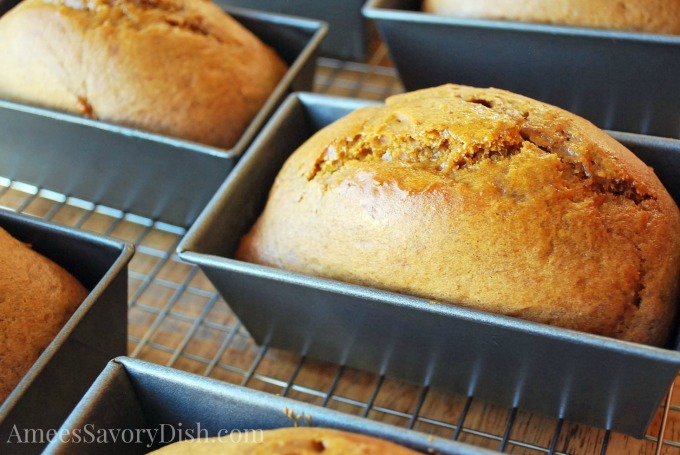 WOW that pumpkin bread looks heavenly! I’m like you–can’t stop won’t stop it’s so good. Looks like your daughter does indeed have some skills in the kitchen! Your bread looks good to make it all seasons but I have a question to help me. The natural brown sugar which one is it? Do you mean sugar in the raw or the brown sugar that has molasses in? That bread looks amazing and so delicious! Thank you very much for this recipe! You’re welcome Linda! I’m so glad that you enjoyed it!